A raft of economic data for July will come as the first test of the trade war that kicked off earlier this month. While the 'soft' data on manufacturing purchasing managers' indexes (PMIs) may show the impact on sentiment, the hard data on trade should provide some sense of the actual hit. 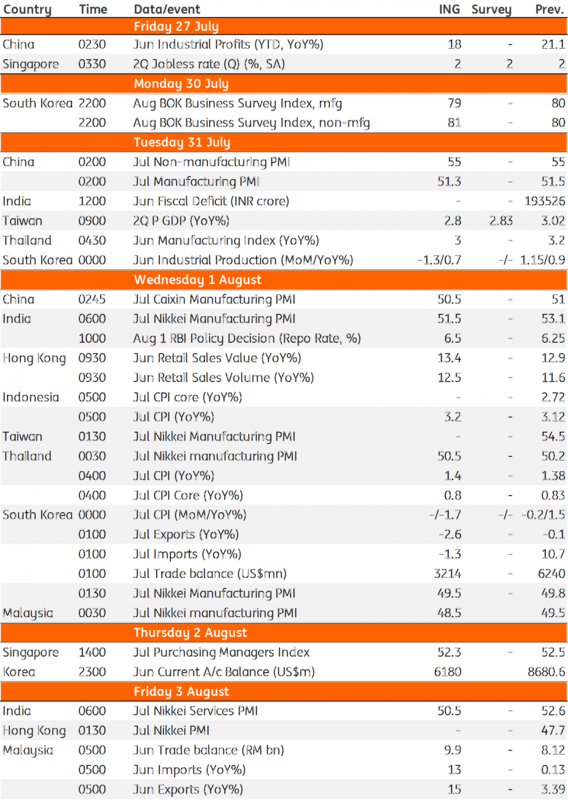 This keeps Korean trade data for July, the first for the month from Asia and probably the world, in the spotlight. We expect a small annual decline of 2.6% in Korean exports - the second consecutive negative print. However, the trade data will also be weighed against the latest positive signs of more free trade across the Atlantic, which should limit the negative impact for markets of any bad trade report. The US-EU deal to lift all bilateral trade tariffs may be a hopeful sign of a potentially positive end to the global trade war. But the hopes may be misplaced as the next stage of US tariffs on $16 billion of Chinese exports looms large and this will, in all likelihood, face an equal amount of retaliation from China. As such, the trade risk is here to stay in the driving seat for the market. 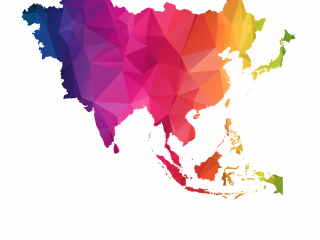 Central banks in Japan and India will be in the spotlight for their monetary policy decisions. 2) Adjusting the pace of asset purchases, which too have undershot the target. We don’t think the first of this is on the table but the second might be. Here is what our Chief Economist Asia-Pacific, Rob Carnell, thinks about the BoJ policy confusion. We think the policy confusion for the Indian central bank might stem from recent developments of re-acceleration in the country’s consumer price inflation above 5% in June and some stabilisation of the Indian rupee exchange rate in July. While we observed from the high-frequency data that GDP growth slowed down in the last quarter, we believe inflation and currency stability remain a strong argument for the RBI to remain on the tightening path. We forecast it will hike rates next week and again in October.